The biggest problem organic gardeners face is dealing with pests. An infestation of aphids or cutworms can absolutely devastate a garden! You can have an entire row of plants wiped out in days, or even hours. It's important to try to prevent infestations, rather than just treating them once they occur. You can do this by spraying your plants with solutions that deter many of the most common garden pests. There are many organic solutions available, but you can make your own by using recipes that can be found in most organic gardening books. Most of them will be sort of like a tea, made with things like hot pepper sauce and garlic. When you can, you should try to plant species that are native to the area in which you live. These plants have natural immunity to many common diseases in the area. There are also plants that are pest-resistant, and won't have as many problems with pests as other varieties. If you plant early enough, you may be able to avoid the worst part of the bug season. 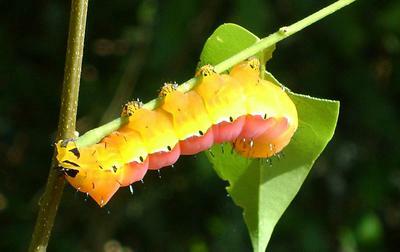 Insects have just a short period of each year in which they will be active and eating your plants. If you plant early, you may be able to harvest before those insects terrorize your plants. You should do everything you can to encourage natural insect predators like ladybugs, praying mantis, ground beetles, and birds. Some types of plants like mint and rosemary can attract many beneficial bugs that can help you keep other insects under control. You should keep a close eye on your plants to spot potential problems before they get out of control. If you see a hornworm on your tomato plants, pluck it off quickly and drown it in soapy water. By watching your plants daily, you have a chance to stop these problems before they become too difficult to handle. If you're having trouble with a particular pest, you can take pictures and then try to identify the pest. Go online and try to search for it. If you can't identify it, you can take your pictures to your local county extension office or library and ask for help identifying it. Once you've identified the pest, you can ask your extension office for advice with regards to controlling it. Just be sure to tell them you're an organic gardener, and ask them if they have any ideas for you. You may be able to prevent some pests by installing netting over your plants. 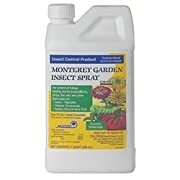 Although this is probably a last resort, you may be able to save your plants from utter devastation if you have a particularly bad season of beetles or other such bugs. Just remember, netting will also prevent beneficial insects from reaching your plants, so if some pests make it through, it may be harder to detect them and for predator insects to control them. Pest control is a very difficult part of organic gardening. If you lose a crop to insects, you may be tempted to abandon organic gardening and rush out to buy a chemical spray. A lot of organic gardeners experience this! Don't feel bad. It can certainly be very frustrating to deal with pests, especially when you've worked very hard to take care of your plants all season. But just remember, organic gardening has so many benefits that it's really worth it to go through all of the extra work. Your family will be rewarded with healthy food that is safe to eat! You can also learn here about how to control pests in vegetable gardens to help you control the bugs and pests that will attack your gardening efforts.